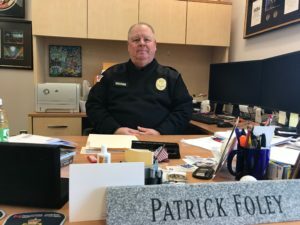 Williston Police Chief Patrick Foley has several positions to fill to get the department fully staffed. Steven Bourgoin awaits trial on five counts of second-degree murder. The “Expert Men” group start in Sunday’s Eastern Cup, hosted by the Catamount Family Center. As a new year dawns, Williston is faced with several decisions that call for thoughtful community consideration. Here are the key questions that will shape 2018, as citizens, community leaders and local organizations set a course for Williston’s future. The Town of Williston is due to purchase 383 acres that currently comprise the Catamount Outdoor Family Center off Governor Chittenden Road this spring for use as a permanently conserved public park. A group of citizens, neighbors and planners have been meeting monthly since July to determine what will be allowed on the property. They are also hashing out an agreement the town plans to enter into with the Catamount Outdoor Family Center to manage day-today operations — as the center does now as the property’s current owner — and determine which recreational uses will be free and which will be fee-based. The group plans to make decisions during meetings in February about whether to allow hunting, snowmobiling, horseback-riding, and dog-walking on the property. 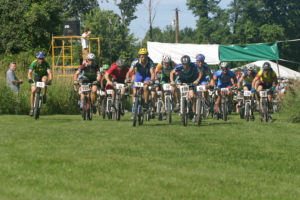 It already has agreed to allow camping during special events and free ice skating and trail-walking. Can the Williston Police Department finally get fully staffed? Williston has a new chief of police, Patrick Foley, who is determined to return the department to full strength after it has suffered chronic staffing problems. The department is currently running without a detective unit, as its experienced officers have been moved back to patrol duty to fill vacant officer positions. The 17-member force has four officer vacancies; one has been filled by a rookie who is attending the Vermont Police Academy this year and is expected to start in June. Foley is hoping to fill the other three vacancies before the end of the year. Complicating matters, though, the department’s administrative assistant, who would be instrumental in the hiring process, resigned in November. Foley said he has received more than 100 applicants for that position and expects to have it filled by February. “That is a core position for me, so I can do other things I need to do,” Foley said Wednesday. Operating without a detective unit means the department can fall behind on following up on cases, returning to the scene of a crime and coordinating with other local and state agencies, Foley said. Those responsibilities have fallen to the patrol officers. “Everyone has become a detective,” Foley said. If the patrol officer vacancies are filled, Foley plans to call for applications from existing officers interested in the detective positions. Will Bourgoin be found guilty? A Williston man is currently awaiting trial on five counts of second-degree murder stemming from a 2016 crash on Interstate 89 that killed five Vermont teenagers. 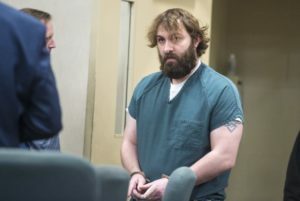 Steven Bourgoin, 37, is accused of speeding the wrong way down the interstate and crashing into a car carrying the teens. Then, after police responded to the crash, Bourgoin is accused of stealing a Williston police cruiser and using it to cause another highspeed crash, this one involving multiple cars at the scene of the first crash. In a toxicology report released in November, Bourgoin was shown to have several drugs in his system at the time of the crash. He has been deemed mentally competent to stand trail. He faces up to 20 years in prison for each of the five second-degree murder charges. A trial is expected to start in April. Will herbicide be dumped into Lake Iroquois to control milfoil? 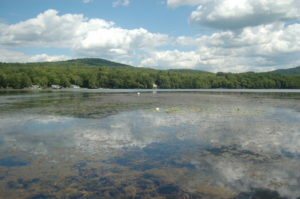 A decision is expected this spring from the Vermont Department of Environmental Conservation regarding whether or not the Lake Iroquois Association can apply a chemical called Sonar to the lake to alleviate the overgrowth of non-native Eurasian milfoil. Although the summer of 2017 was not as bad as the previous summer, when boating and swimming were severely hampered by the overgrowth, the association plans to press for a permit from the DEC to use the chemical. The DEC was inundated with opposition to the idea from lake-area residents who argued that the chemical has not been proven to be safe. As a result, a permit approval process that typically takes about six months has stretched out for more than a year as the DEC works to respond to each of the opposition comments. Will growth management caps be loosened? The chair of the Williston Planning Commission, Jake Mathon, advocated in meetings last year to eliminate the growth cap the town has used since 1990 to regulate the pace and location of land development. Mathon argued that the cap, which limits growth to 80 new residential units per year, has artificially slowed the build-out of larger developments in Williston and limited the diversity of projects that get proposed in town. The Development Review Board has requested recommendations from the planning commission to modernize the system. The commission will continue to discuss potential changes this year, with an eye toward making recommendations to the selectboard. Among the potential changes are an increase in the 80-unit annual allowance, an exemption for affordable housing and a change in the split of which zoning districts the 80 units are allotted to. Currently 56 are allotted to the growth center, 12 to the remaining sewer core and 12 to the agricultural/ rural zoning district. 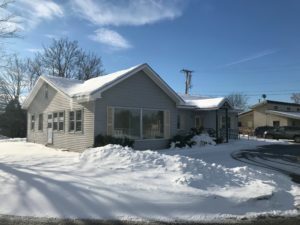 The medical marijuana dispensary in Brandon has reportedly leased this house on Route 2A as it attempts to open a satellite dispensary in Williston. Will a medical pot dispensary open in Williston? The four existing medical marijuana dispensaries in Vermont are each authorized to open a satellite operation under a legislative update to Vermont’s medical marijuana law passed last year. The Vermont Marijuana Registry, a division of the Department of Public Safety, has identified Williston as one of the preliminarily-approved satellite locations. Representatives of the dispensary in Brandon — Grassroots Vermont — recently checked in with the Williston Planning and Zoning office to discuss the town’s dispensary approval process. In November, the dispensary finalized a lease on a 2,400-squarefoot commercial building at 4560 Williston Road, near where Industrial Avenue and Route 2 come together, according to a report in Business People Vermont Magazine. The location is near the same spot the dispensary attempted to move to in 2015. A dispensary in Williston would require approval from the Development Review Board. Lindsey Wells of the Vermont Marijuana Registry said a dispensary would need to receive town approval and have a solid long-term location before the Department of Public Safety would issue a final approval. Will the CVSD board implement statewide education spending control measures? Just before the new year and the start of the legislative session, Gov. Phil Scott renewed a push he initiated during his first year in office to rein in school spending. He convened an education summit in December with public school leaders to lobby for flattening per-pupil spending and reducing staff-to-student ratios. School spending continues to increase while Vermont’s student population steadily declines, he said. The proposal follows last year’s effort to implement a statewide teacher health insurance benefit to control health care costs. That effort was tabled for consideration again this year. Locally, the Champlain Valley School Board faces a half-million dollar budget shortfall for the upcoming fiscal year, primarily due to an increase in salary and health insurance costs in the two year teacher contract it agreed to last spring. In October, the board endorsed a Vermont School Board Association resolution to support Scott’s proposal to control teacher health care benefits by negotiating them in a single statewide contract. With the budget proposal for the upcoming fiscal year nearly ready to present to voters for Town Meeting Day consideration, any cost-containment measures the governor and legislature agree to this year will impact the school district’s budget for the following year. Will two new hotels get green-lighted? Developers of the 400-home Finney Crossing neighborhood that is under construction off Zephyr Road revealed in August how they plan to initiate the commercial/ retail aspect of the development. They proposed — and received preliminary Development Review Board approval for — a 100-room, three-story hotel with an indoor pool and a rooftop solar array that would be a locally-owned franchise of a national hotel chain. Across Route 2A, another hotel is proposed for 34 Blair Park Road on a parcel that is home to the Williston Post Office. The Vermont Hotel Group, in a November presentation to the board, described the project as a four-story, 96-room hotel with underground parking. Both hotel proposals are expected to return to the Development Review Board this winter for a discretionary-permit-level review. Which enhancements will the selectboard choose for North Williston Road? The Chittenden County Regional Planning Commission presented a host of possibilities to reduce speeding and enhance bicycle and pedestrian safety along North Williston Road in December. The Williston Selectboard plans to select a preferred option after taking public input in February. Speed control options include speed bumps, rumble strips and speed feedback signs. Pedestrian and bicycle improvement options include widening the road to add on-street bike lanes and/or adding a 10-foot-wide recreation path along the west side of the road. The improvements could total as much as $6.3 million, according to the CCRPC. The purpose of the project is “to ensure that North Williston Road is a resilient travel corridor and that all travelers, including vehicles, pedestrians and bicyclists, can travel safely and efficiently along the corridor,” the CCRPC stated in its December presentation to the selectboard. The cost/kWh of heavily subsidized solar and wind are a lot higher in New England than elsewhere in the US, such as the US southwest and Great Plains. – Federal and state ITCs; upfront giveaways to offset any taxes. – Federal and state taxes not paid due to loan interest deducted from taxable profits. – School portion of property taxes not paid; households have to pay more. – State sales taxes not paid on some solar system components. – In addition, the electricity is purchased at 13 – 14.5 c/kWh, but could have been bought at NE midday wholesale at 6 c/kWh. Large-scale solar projects usually are financially structured in three phases. Phase 1 covers the first 6 years; phase 2 years 7 – 18; and phase 3 years 19 – 25. Phase 1, year 1 – 6: Dividing the “Subsidy costs” and the “Excess paid above NE midday wholesale prices” by the 6-y production yields 14.0 c/kWh and 7.0 c/kWh, respectively, and adding the 6.0 c/kWh for NE midday wholesale, yields a total production cost of 27.1 c/kWh, during the first 6 years of operation. The weighted average price of all 3 phases is about 13.5 c/kWh. See table 3.